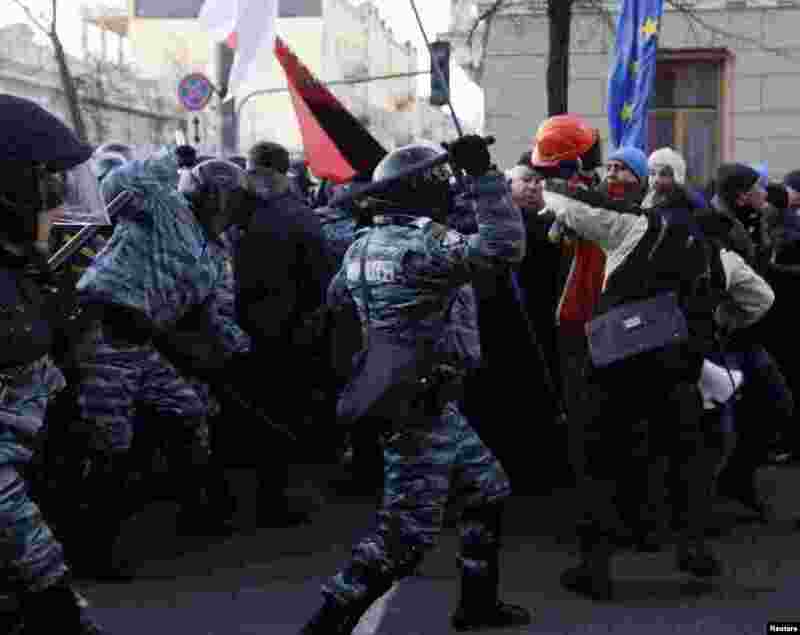 1 Protesters clash with police during a demonstration in support of EU integration in Kyiv, Dec. 3, 2013. 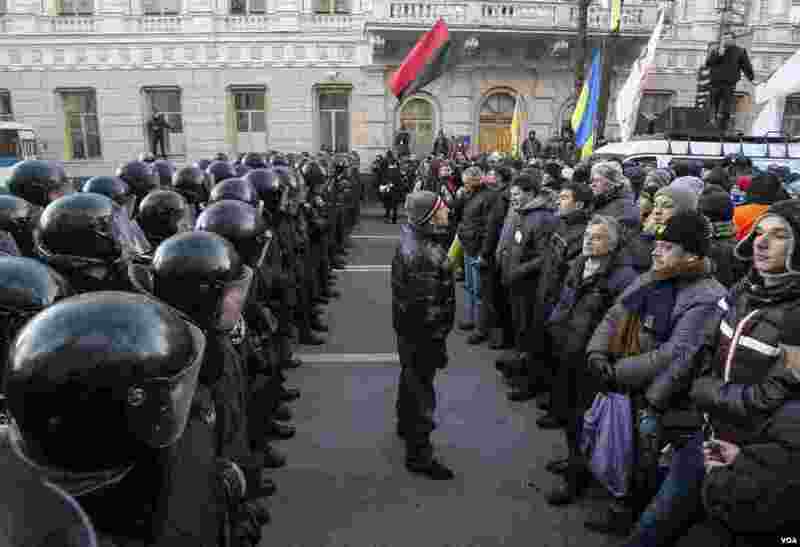 2 Police stand guard in front of protesters during a demonstration in support of EU integration in front of parliament in Kyiv, Dec. 3, 2013. 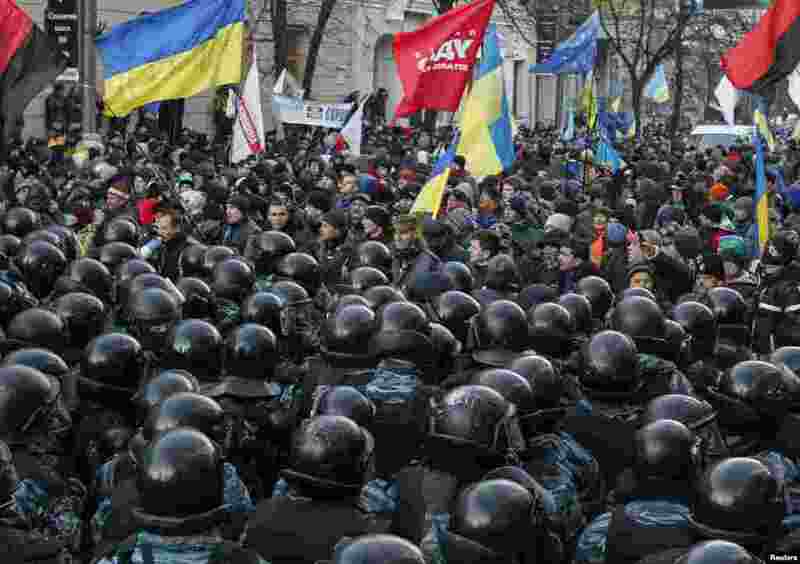 3 Police stand guard in front of protesters during a demonstration in support of EU integration in front of parliament in Kyiv, Dec. 3, 2013. 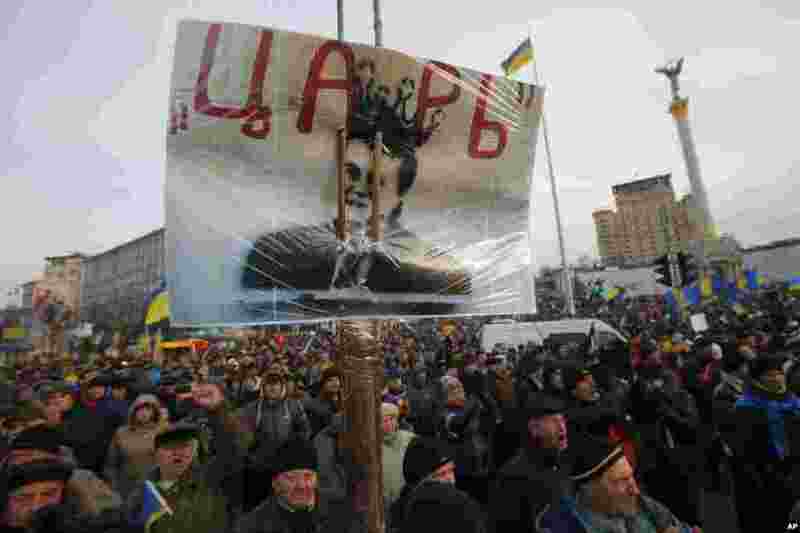 4 Protesters hold a poster with a portrait of President Viktor Yanukovych that reads "tsar" as they rally in Independence Square in Kyiv, Dec. 3, 2013.